When the iPad came out in 2010, we were deeply convinced that tablets will change the way we learn. What if we could play and learn at the same time? What if learning could happen whenever we want, wherever we want, in small chunks of a few minutes each time? Tablets are intuitive and have the ability to eliminate the barriers between school and home, work and personal life, play and study. That’s the vision behind eduPad’s mobile apps. The first apps we published were iTooch 5th Grade Math and iTooch 5th Grade Language Arts in late 2010 (back then the original names were iTooch Math Grade 5 and iTooch English Grade 5). We have built an online platform that allows teachers to create great content and exercises without knowing how to code an app. On our side, we focus on the technological part of our apps, making them as simple and intuitive as possible. This why we are the only one to offer educational apps covering the official Math and Language Arts curricula for 3rd, 4th, 5th, 6th, 7th, 8th graders and complying with the U.S National Common Core Standards. What skills were you hoping to help the end user to develop?? Our apps have not the ambition to replace teachers. They have been thought as a complimentary tool. They provide an easy-to-use interface for students to practice what they have learned during the day at school. 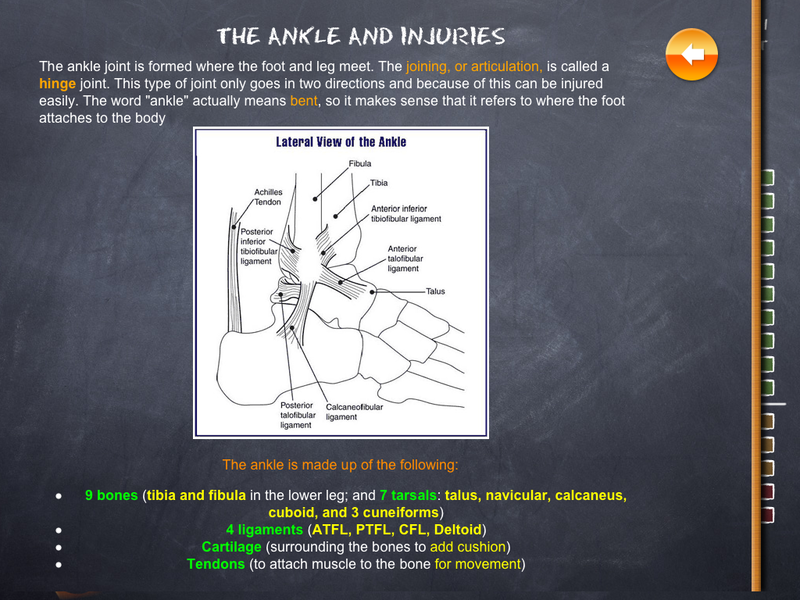 Each chapter includes a lesson summary to highlight the main concepts students should know. Our apps covers the official curriculum from 3rd to 8th grade. They are thus well-suited for kids between 8 and 14. In the following month, we will publish apps to prepare and practice for the SAT, TOEFL and DELF exam along with an app covering the Music curriculum for 7th and 8th grade. By the end of February, we will publish most of our apps on Windows 8 platform. We are currently developing a new version of our apps on Android for Q2 2013! Some fresh news: we have just hit 400,000 downloads! With more than 4,500 exercises, iTooch 5th Grade is a new and fun way of practicing and learning Maths, Language Arts and Science for 4th Graders. Used by more than 300,000 users, iTooch apps are a full learning solution which helps parents, teachers and students to identify and address their learning needs in a fun and motivating way. ‣ iTooch 5th Grade is intended for schools and districts: it is eligible to both Apple’s VPP and Educational Institutions discount. ‣ iTooch 5th Grade content can be evaluated before purchase in the free iTooch elementary App, which provides free access to an extract of the same content through in-app purchase. ✓ 40-60 chapters per title with lessons, examples, and figures. ✓ 1,500-2,500 questions per title with clues, detailed explanations and images. 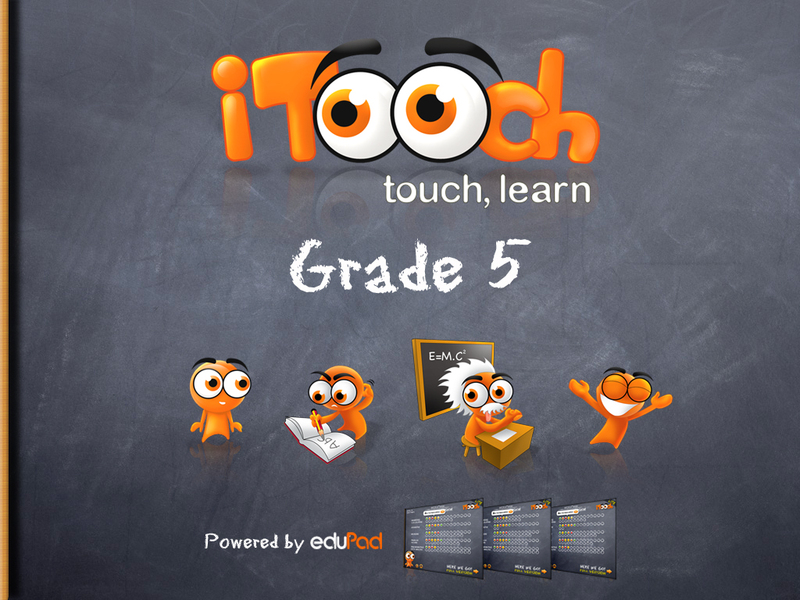 ➡ iTooch 5th Grade is by far the most comprehensive educative tool on the App Store for students in 4th grade. ♖ UNIQUE SET OF FEATURES ♖ ‣ Apple Game Center integration with more than 35 unique achievements to unlock. Requirements: Compatible with iPhone, iPod touch, and iPad. Requires iOS 5.1 or later.